OCAD is more than just a map drawing software. 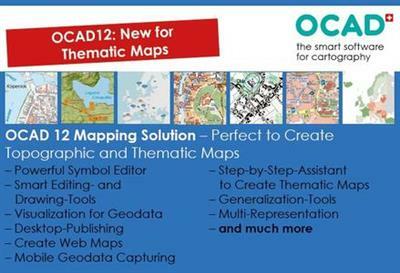 OCAD provides you with a powerful software package for producing and editing any kind of maps (e.g. topographic maps, city maps, hiking and biking maps, Internet maps). It provides interfaces within the following fields: Geodata Capture (mobile application), Import and Export of Geodata, Desktop Publishing (DTP) and creating Web Maps. Moreover, with the latest add-on – the ThematicMapper – it enables you to create even thematic maps with OCAD.